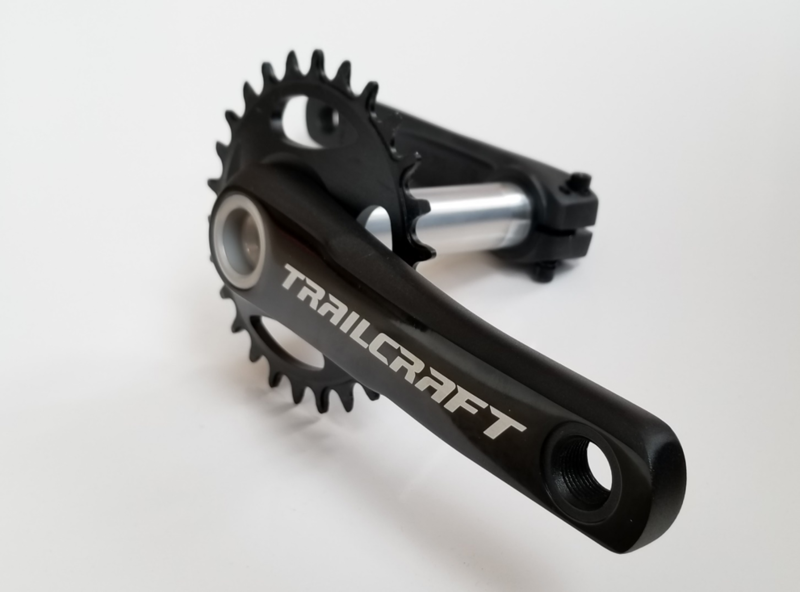 Our new Trailcraft direct mount 1x cranks are a premium crankset featured on our builds, but are also available for purchase separately as an upgrade item to make your bike perform better. 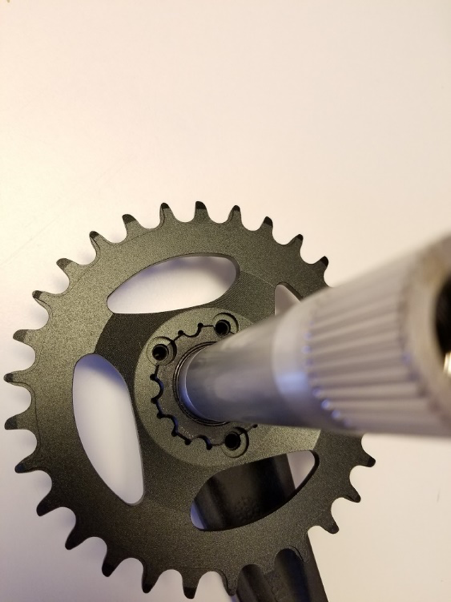 Our new direct mount crank system typically drops 150 grams (or more) off a traditional stock square tapered setup and allows way more gearing options never before found on 140mm, 152mm, and 165mm crank lengths. 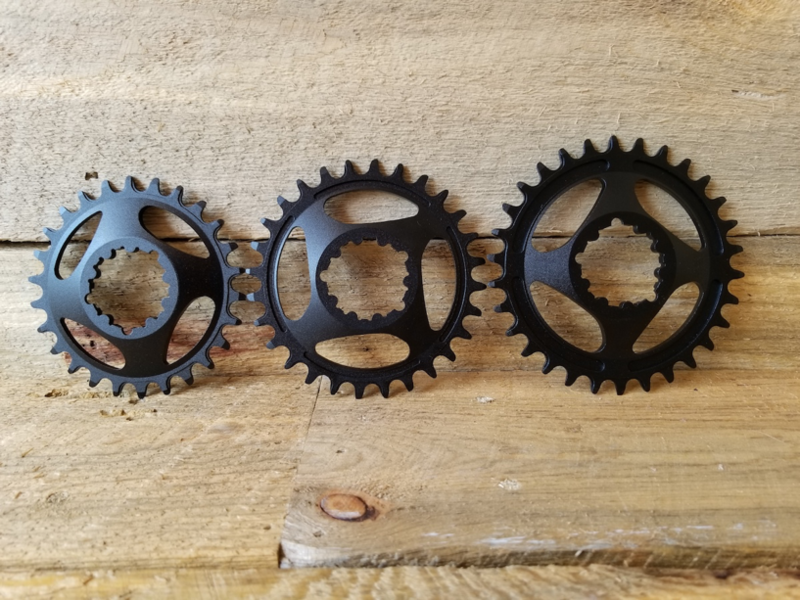 Dial in the perfect gearing range and length for your bike, or your kids bike! We were unhappy with current cranks on the market which are cheap, heavy, and too long for kids- we knew there had to be a better option to help our own children and take their riding to the next level. So we set out on spec’ing a lightweight crank with a great performance to value. Any Trailcraft direct mount crankset can be purchased with a 26, 28, 30, or 32 tooth for terrain perfect in your area! 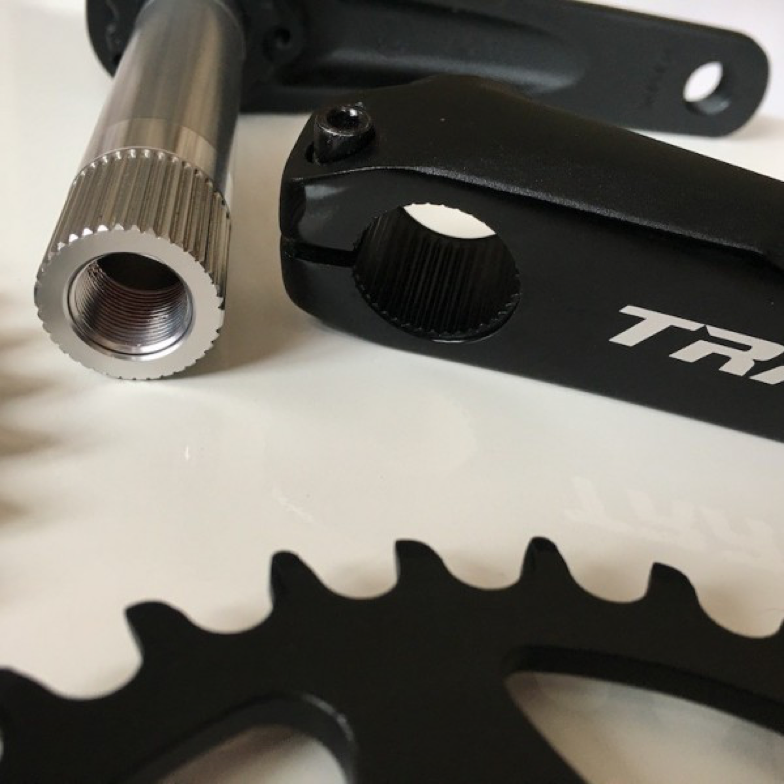 Our crank arms are forged and use a BSA (Shimano standard) 24mm spline interface and come with an external bottom bracket. 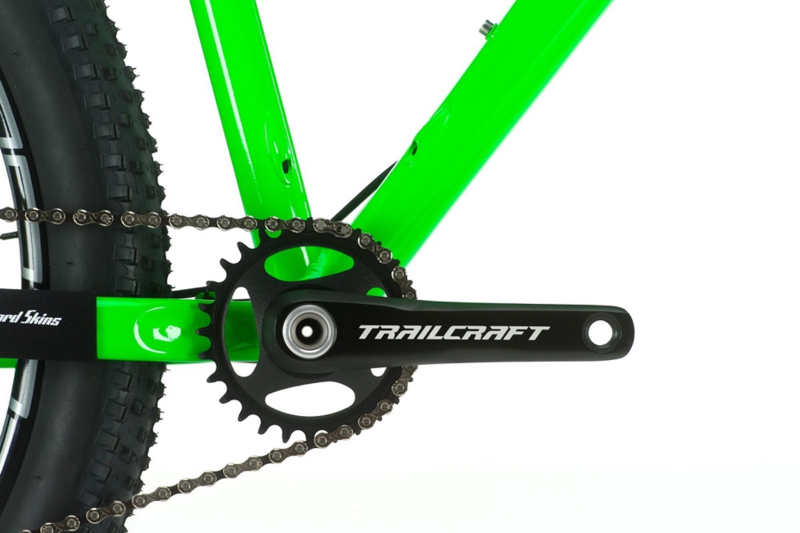 Any Trailcraft direct mount crankset can be purchased with a 26, 28, 30, or 32 tooth for terrain perfect in your area! One of the features which sets our Trailcraft direct mount cranksets apart from the competition is the 24mm alloy spindle. 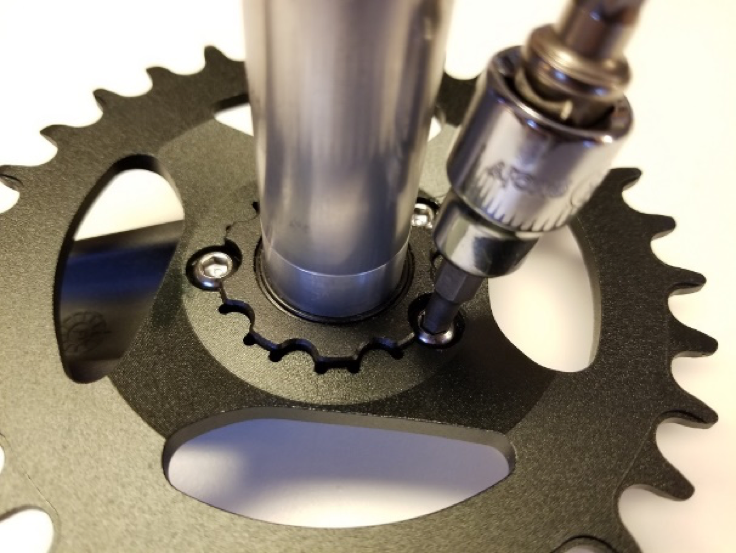 Each spindle is CNC machined from 7050 aluminum alloy to help reduce overall bike weight, which is especially important to young, lightweight riders! Most companies spec a heavy steel spindle, which is overkill in 2018! Aluminum does cost more, but we feel the reduction in weight is worth the small upgrade price. Our chainrings have a narrow-wide style tooth profile to help chain retention on 9/10/11 speed equipped bikes. The removable 3-bolt direct mount ring design offers the ability to quickly change different chainrings depending on your next ride or race. Interested in which crank length is ideal for your young rider and how much weight you can expect to save? 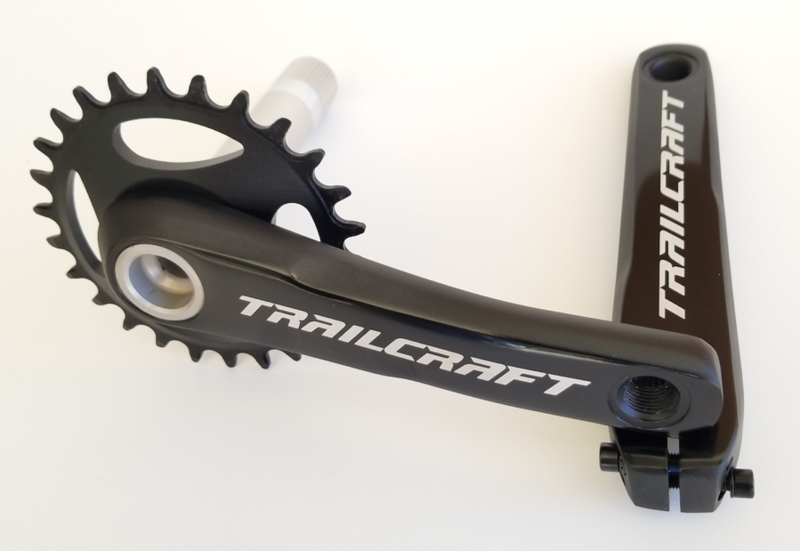 Visit our Trailcraft direct mount crank page for more detailed information.